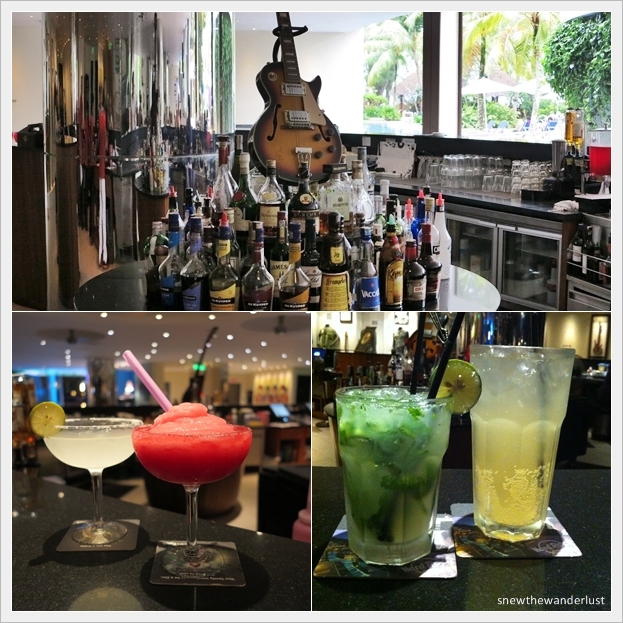 I have always wanted to try out Hard Rock Hotel Penang. Not only to see how different is the experience, compared to the Hard Rock Hotel, Singapore, but also to enjoy a true beach resort in the renowned Batu Ferringhi beach. Afterall, there were so much hype when the resort first open its doors a three years ago. The front office reception and the lobby bar is together in a longish shape counter. On the left side, it's the reception counter. I must say that the service level of the front office staff is excellent. Our requests were all met and carried out professionally without further questions. On the right side is the lobby bar where we had drinks on two of the night. A pity that the Sand Bar closes at 11pm, otherwise, we would have our nightly drinks there while enjoying the clapping sound of the waves. I must say the rooms is much simpler than what I thought. 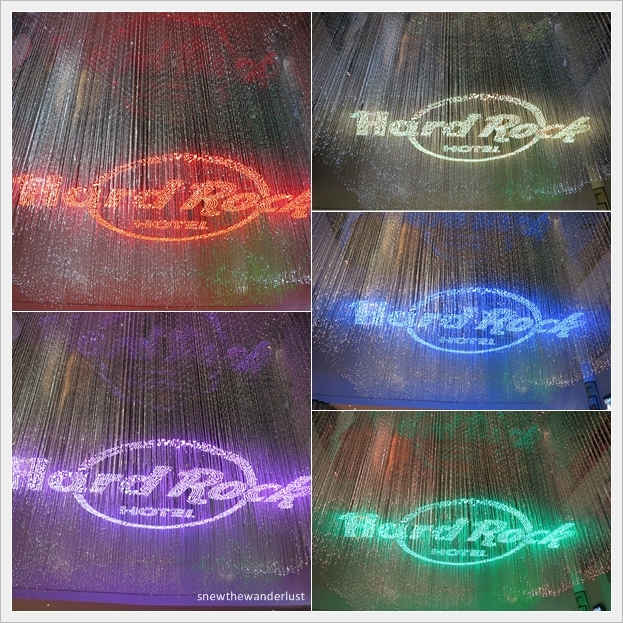 Unlike the Hard Rock Hotel in Singapore that use warm colours like purple, the Hard Rock Penang is simple with cool colours. The twin bed, is just the normal super single beds, unlike the queen-bed that you get at Hard Rock Singapore. The unique of the room lies with the toilet. Slide the glass together and you get a mirror infront of you. Otherwise, it looks like a frame with the picture of a rock star. 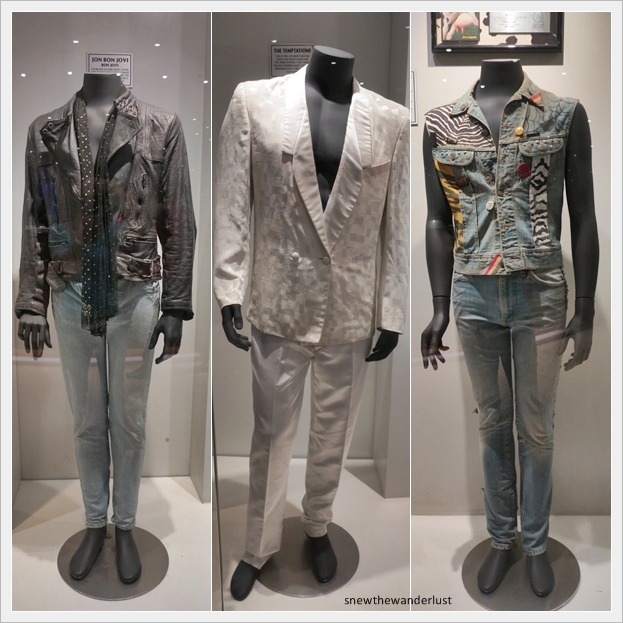 Inspired to be a rock star? You can sit and pose like one on the rock star chair! Neat amenities in the room. The range of Memorabilia is worth commending. 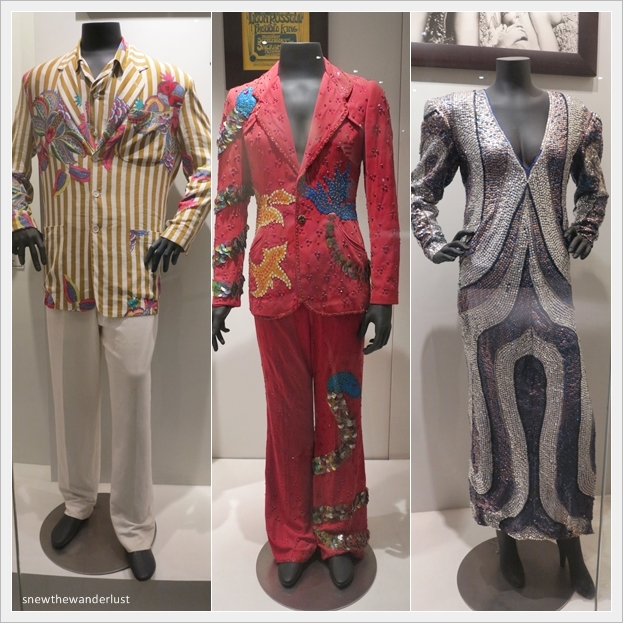 The different costumes from the 60s to the 2000s are found here. Be awe by the different colours of the lightings in the evening. No, it's not in the Hard Rock Cafe or a pub. It's just at the entrance, with the reflection of the lights onto the ground. We see a lot of families with kids in this resort. No surprise the pool is what kids are attracted to. Long windy pool with slides for the children. The slides are real fun. Even this big kid - ME! also went on the slides a few times! Does this look like the kids playground heaven? Otherwise, sip on a nice cocktail with you bikinis on, at the pool bar- The Shack. We rented the double tube for RM20 a day. But I rather take the single ones at RM10. Remember, you can't paddle the tube alone. If you are just going as a couple, or a small family, then take turns on a single one. The double tubes takes up more space, and takes another two other person to help maneuver the float. The floats are very popular. Try renting it in the morning as it might be taken up by afternoon. If you have a bit of budget, I will recommend you to stay at the Deluxe Lagoon room which give you direct access to the pool. You can just jump into the pool anytime, or choose to laze on the deck chairs right at your door step. 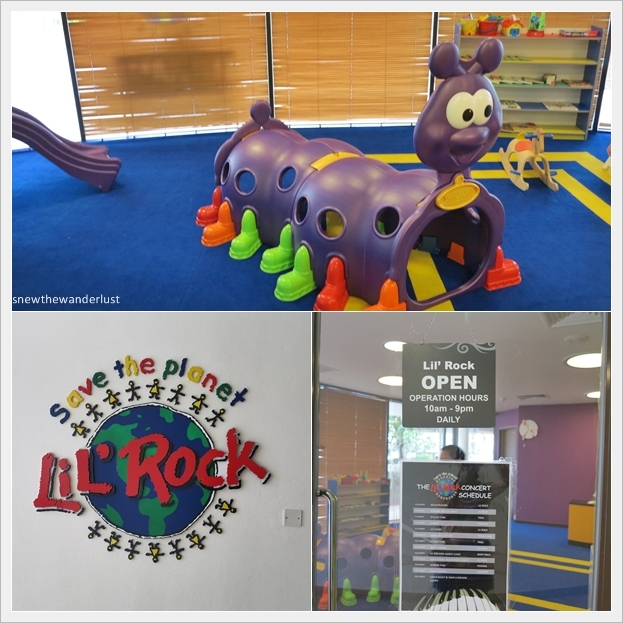 There's Lil' Rock Kids club, opens from 10am-9pm for young kids from 4-12. 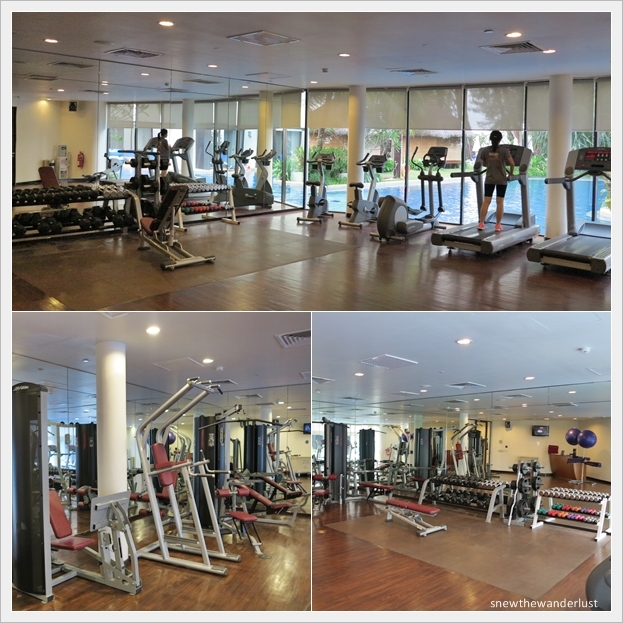 Activities are designed to keep them occupied while you do your spa or shopping. For the teens, the teens club has a pool table, games station, and even a family karaoke room. Work out at the gym? Probably you will be more motivated on your trackmill while you enjoy the views of the pool. Otherwise, try a relaxing massage at the Rock Spa. Opens from 9am-9pm. It's a pity that I didn't have the chance to try out the treatments here. If you have tried any of the spa treatments here, do leave me a comment/ feedback. 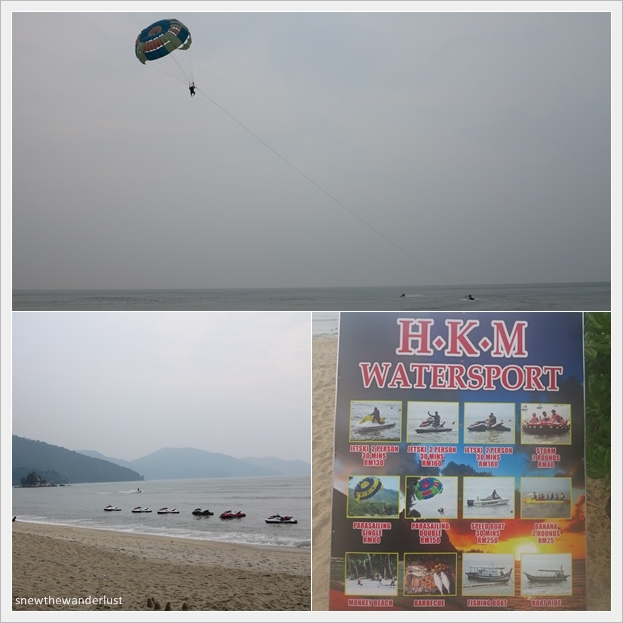 We didn't try out the watersports activities offered by the numerous paddlers at the beach area, just outside the resort. Just walk out to the beach, and you would definitely be hounded. But fear not, they are usually quite reliable if you choose the ones just outside the hotel. For me, I just like to enjoy the sunset views. The beach is fairly good, although I won't really recommend to swim in the waters. Participating in the sea-sports activities and enjoying a stroll along the beach is good enough. Breakfast is at Starz Diner. The range and quality of food is so-so. Nothing impressive and pretty crowded. On our second day, the restaurant was so crowded that we were ushered to an alternative venue - the pizzeria. However, pizzeria is an outdoor area, and near to the beach. We really have to open our eyes wide enough to make sure that our food do not have added ingredients - flies! Other than breakfast, and bar snacks, we didn't really dine at hotel as we have a car and would drive out for dinner. But prices in the menu looks pretty reasonable. 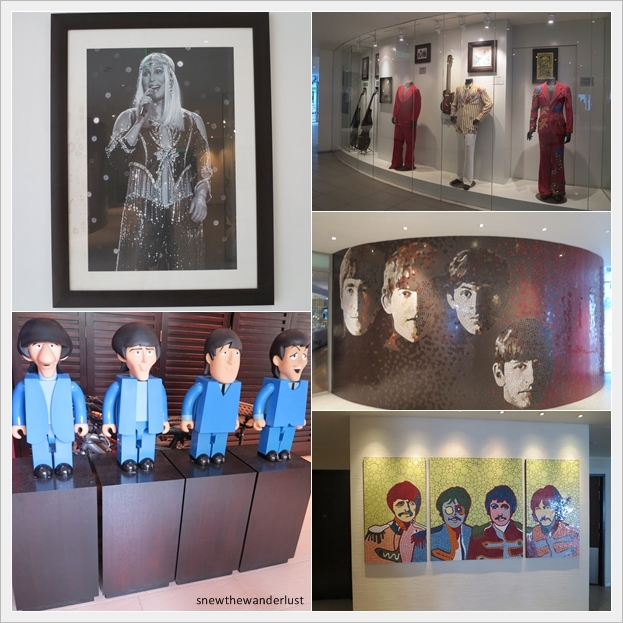 Hard Rock Hotel Penang - would I return? The drawback about the resort is the distance. 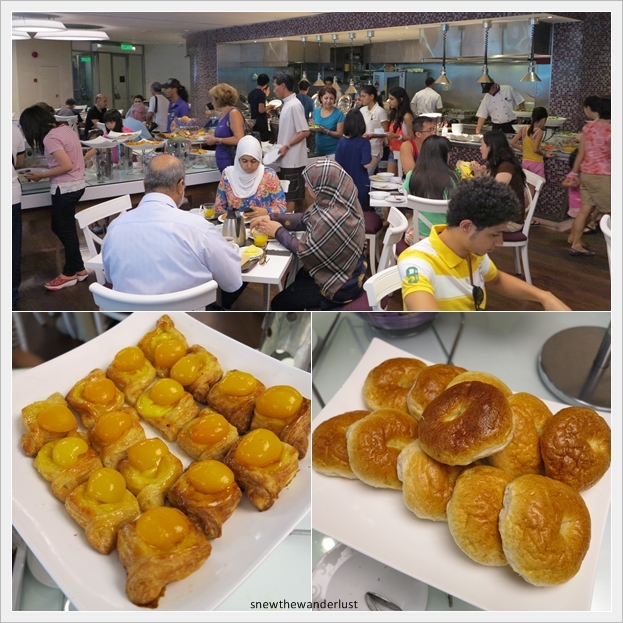 While it's at the Batu Ferringhi, it's not at the main stretch like Rasa Sayang, Golden Sands or Parkroyal. You can't walk to the night market, as it's still a distance away. Other than the distance from the city centre (It's about 30minutes from the city) and good food, I have nothing very much to complain about. It's a resort with full facilities and amenities, and you won't get bored spending 2-3 nights there. However, if you would like to explore the city, then I will recommend you spend to spend a combination of 1-2 nights in the city, and another 2 nights up here at Batu Ferringhi beach area.